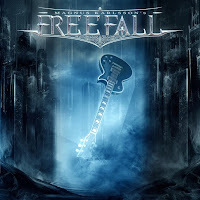 Rock & Metal 4 You: CD-Review: Magnus Karlsson - "Free Fall"
CD-Review: Magnus Karlsson - "Free Fall"
If you like Melodic Metal you should be familiar with the name Magnus Karlsson. This guy is the mastermind behind the Allen/Lande project as well as The Codex, Kiske/Somerville or Last Tribe ... and of course don't forget his full-time job as the guitar player of the power metal band Primal Fear. With all these activities you might think his timetable is full enough, but Magnus seems to bubbling over with creativity. He released his first solo album "Free Fall" a few days ago and even this is a solo record Magnus invited lots of guest singers on this one. The list is pretty long: Russel Allen opens the album with the title track "Free Fall" and this is a track, which could have been on one of the Allen/Lande albums. That means: energy till the bitter end, strong melodies, sharp guitars and a brilliant vocal performance. The next one in the line is Ralf Scheepers and I think you know where the journey will go. "Higher" could also be a fantastic Primal Fear song and Ralf delivers one of his best performances ever. On "Heading Out" we hear Magnus himself on vocals and I've to say he makes a pretty good figure on the microphone. One thing is sure: this guy can also sing. Ok, Russel and Ralf have stronger voices and a more unique style, but Magnus' clear voice fits perfectly to the really catchy tune "Heading Out". Next song "Stronger" is some kind of ballad, refined by the voice of Tony Harnell. I liked this one very much. Magnus proofes again that he has a good sense for great melodies ... and of course he has a sense for really cool guitar lines. But I think you know this if you know one of Magnus' other projects. If you looking for an album with crunchy guitars and great lead parts you'll love "Free Fall". "Not My Savior" is one of the more aggressive tracks on the album. This is a really punchy in-your-face metal song, but don't worry - the melodic side is still there. "Us Against The World" is sung by Pink Cream 69/Voodoo Circle-fronter David Readman and although he delivers a good performance this song is just "solid" stuff to my ears. I think this is because the chorus doesn't work for me. "Our Time Has Come" makes some things better. Mark Boals is going to the extreme of his lungs and the track reminds me a lot at "The Codex", were Mark was also doing the lead vocals. This is a really cool metal hymn. "Ready Or Not" is the second song out of three where you can enjoy Magnus' voice. This tune has again lots of brilliant guitar lines to offer, but at this time the songwriting gets a bit repetitive. I thought I heard parts of this song already in some other tracks on "Free Fall". "Last Tribe" seems to be some kind of homage to Magnus' project "Last Tribe" and this song offers also a great anthemic chorus. "Fighting" and "Dreamers & Hunters" are both pretty amazing feel-good-songs, the latter is even my absolutely favorite on "Free Fall". "On Fire" closes the album in a really good way. Production wise everything is perfect: you get a punchy and crisp production, which deserves the mark "Metal". If there is a problem on this album then it's the variety, because most of the songs are very similar to each other and sound just a bit different because of the many singers on here. The songmaterial itself is not so varied - you would realize this even more if Magnus would have sung everything by himself. While reading this review you may have noticed, that a lot of songs can be compared to older projects where Magnus worked as songwriter and this is another critical point, because I would have liked to hear something new and different on his solo album. Something that escapes from the structures of past projects. Magnus can't manage it to add something fresh and unspent to his well-known songwriting. That's a bit sad, but it doesn't detract the overall impression of a really good melodic metal album, which is performed and presented very well. Magnus delivers again strong melodies, amazing guest singers and of course a demonstration of his skills as a guitar player AND vocalist. Fans of Magnus and his former projects as well as melodic metal fans should buy "Free Fall" without a doubt! 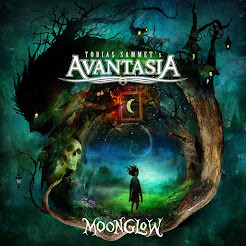 CD-Review: James Christian - "Lay It All On Me"
CD-Review: Pat Travers - "Can Do"
CD-Review: Dark Moor - "Ars Musica"